Nishida K, Datino T, Macle L, Nattel S. Atrial Fibrillation Ablation: Translating Basic Mechanistic Insights to the Patient. J Am Coll Cardiol. 2014;64:823-31. Nishida K and Nattel S. Atrial fibrillation compendium: historical context and detailed translational perspective on an important clinical problem. Circ Res. 2014;114:1447-52. Nakatani Y, Nishida K, Sakabe M, Kataoka N, Sakamoto T, Yamaguchi Y, Iwamoto J, Mizumaki K, Fujiki A and Inoue H. Tranilast prevents atrial remodeling and development of atrial fibrillation in a canine model of atrial tachycardia and left ventricular dysfunction. J Am Coll Cardiol. 2013;61:582-8. Nishida K, Chiba K, Iwasaki YK, Katsouras G, Shi YF, Blostein MD, Khairy P, Guerra PG, Dubuc M, Tardif JC, Tanguay JF and Nattel S. Atrial fibrillation-associated remodeling does not promote atrial thrombus formation in canine models. Circ Arrhythm Electrophysiol. 2012;5:1168-75. Iwasaki YK, Nishida K, Kato T and Nattel S. Atrial fibrillation pathophysiology: implications for management. Circulation. 2011;124:2264-74. Makary S, Voigt N, Maguy A, Wakili R, Nishida K, Harada M, Dobrev D and Nattel S. Differential Protein Kinase C Isoform Regulation and Increased Constitutive Activity of Acetylcholine-Regulated Potassium Channels in Atrial Remodeling. Circ Res. 2011:1031-1043. Nishida K, Qi XY, Wakili R, Comtois P, Chartier D, Harada M, Iwasaki YK, Romeo P, Maguy A, Dobrev D, Michael G, Talajic M and Nattel S. Mechanisms of atrial tachyarrhythmias associated with coronary artery occlusion in a chronic canine model. Circulation. 2011;123:137-46. Nishida K, Sarrazin JF, Fujiki A, Oral H, Inoue H, Morady F and Nattel S. Roles of the left atrial roof and pulmonary veins in the anatomic substrate for persistent atrial fibrillation and ablation in a canine model. J Am Coll Cardiol. 2010;56:1728-36. Nishida K, Maguy A, Sakabe M, Comtois P, Inoue H and Nattel S. The role of pulmonary veins vs. autonomic ganglia in different experimental substrates of canine atrial fibrillation. Cardiovasc Res. 2011;89:825-33. Wakili R, Yeh YH, Yan Qi X, Greiser M, Chartier D, Nishida K, Maguy A, Villeneuve LR, Boknik P, Voigt N, Krysiak J, Kaab S, Ravens U, Linke WA, Stienen GJ, Shi Y, Tardif JC, Schotten U, Dobrev D and Nattel S. Multiple potential molecular contributors to atrial hypocontractility caused by atrial tachycardia remodeling in dogs. Circ Arrhythm Electrophysiol. 2010;3:530-41. Burstein B, Comtois P, Michael G, Nishida K, Villeneuve L, Yeh YH and Nattel S. Changes in connexin expression and the atrial fibrillation substrate in congestive heart failure. Circ Res. 2009;105:1213-22. Nishida K, Michael G, Dobrev D and Nattel S. Animal models for atrial fibrillation: clinical insights and scientific opportunities. Europace. 2010;12:160-72. Maguy A, Le Bouter S, Comtois P, Chartier D, Villeneuve L, Wakili R, Nishida K and Nattel S. Ion channel subunit expression changes in cardiac Purkinje fibers: a potential role in conduction abnormalities associated with congestive heart failure. Circ Res. 2009;104:1113-22. 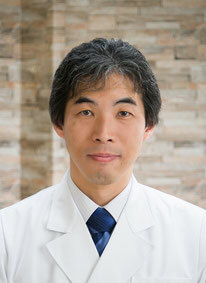 Nishida K, Fujiki A, Sakamoto T, Iwamoto J, Mizumaki K, Hashimoto N and Inoue H. Bepridil reverses atrial electrical remodeling and L-type calcium channel downregulation in a canine model of persistent atrial tachycardia. J Cardiovasc Electrophysiol. 2007;18:765-72. Nishida K, Fujiki A, Mizumaki K, Sakabe M, Sugao M, Tsuneda T and Inoue H. Canine model of Brugada syndrome using regional epicardial cooling of the right ventricular outflow tract. J Cardiovasc Electrophysiol. 2004;15:936-41.